Developers use various tools for their developing and coding purposes. However, choosing the right text editor tool might be the most difficult task for every developer. 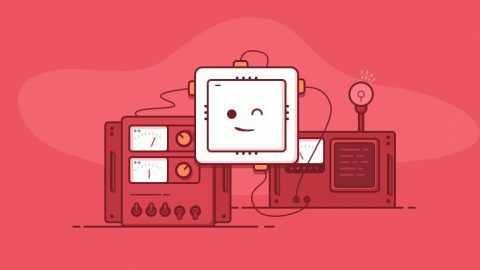 In this blog post we will review the 6 best free text editors to help you choose which to use! The role of text editor is of utmost importance to any developer’s workspace. 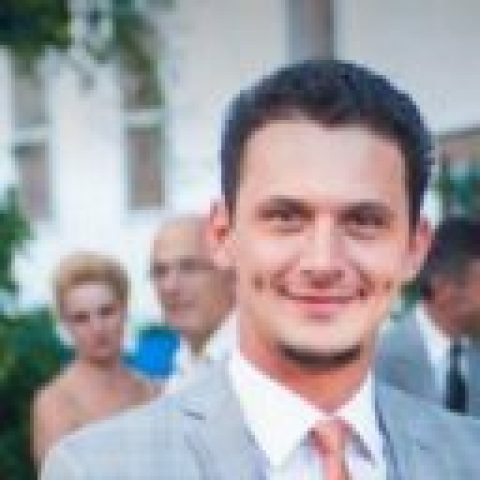 It assists the writing of project code and also its executing. It is used primarily for web design and development wherein the user writes the HTML, CSS, PHP and other codes in the text editor and executes them in a web browser afterward. This article gives a compiled list of the best free text editors, discussed in detail. The list is well-reviewed which will help if you’re undecided about which text editor would suit the most. 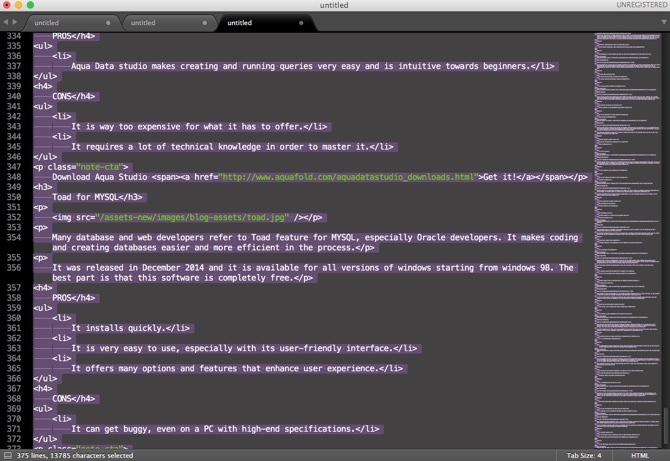 Atom is an open-source text editor that contains everything a web developer would want to use. It provides some amazing features that vast majority of developers would gladly have. It assists programming and also contains a hackable editor, that made Atom central focus when it was first released. It has excellent UI and UX features. It’s flexible and innovative which makes it easy to use. Atom also features some key options such as auto-completion, file system browser and much more. Its best advantage is that it’s completely freeware in order, to provide productive coding session. It offers wide-range of packages that can be used. This feature makes it highly customizable. It also uses CoffeeScript in order to write packages. Modular design ensures this program to be completely hackable. It is beginner-friendly. For people that are starting off in the developing waters, this program is a must-have. It gets laggy and tends to crash if the files are above 10 MB large. It uses a lot of RAM memory. Visual Studio Code is another open-source text editor that should assist developing apprentice on their path of becoming proficient with coding. It was designed as a replacement for a massive Visual Studio that takes over 3 GB of space. It features Git version control and innovative debugging tools for easier development. It doesn’t have a large size, which makes its installation smooth and swift. This program is not perfectly optimized for Linux, making the updates quite painful. Vim is very popular among the developers who keep improving their coding skills. Many businesses that offer web development solutions choose exactly Vim. However, computer nerds also like using it because it’s completely customizable. 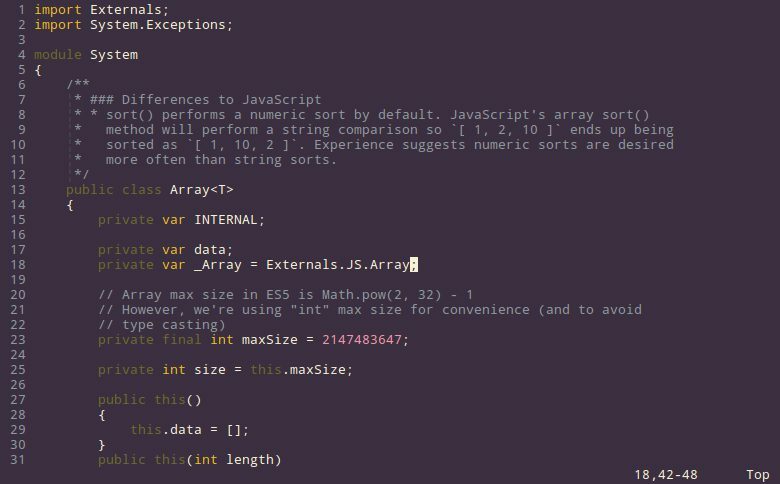 What makes Vim so special? It supports all keyboard operations and can be used entirely without mouse clicking. Unix-based machines find it very friendly, as it’s present in most of them. It is very portable and ubiquitous, which makes it very popular to computer nerds. You can use it for Remote development. It offers a lot of plugins that make it more functional compared to the competition. It handles large files easily, wherein increases the productivity of its user. It takes a lot of time to get used to it, it’s not quite innovative. Also, most of the modern development features need to be activated through plugins. This is not the easiest open-source text editor in terms of using but it’s one of the most powerful text editors there are. It’s not too pretty but it’s extremely useful and powerful. 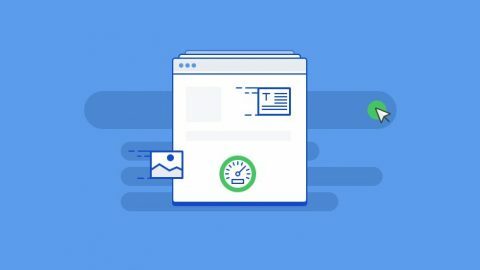 It supports old fashioned programming languages and it does everything a text editor can possibly be asked to do, it also possesses some easy to extend tools and features. It is used by everyone with hacker mentality and curiosity that makes them want to customize their development environment. 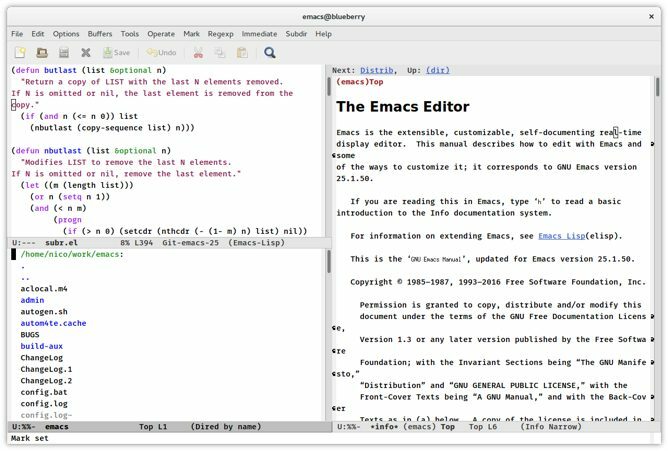 Emacs is completely easy to use and most of its iterations are also free to use. No matter how new you’re into development anyone can play with it and learn how to use it. It supports macro recording and has mass of shortcuts. You can play tetris in it. Key combinations are not easy for fingers by default. However you can change it. Hard to use if you don’t know Lisp. 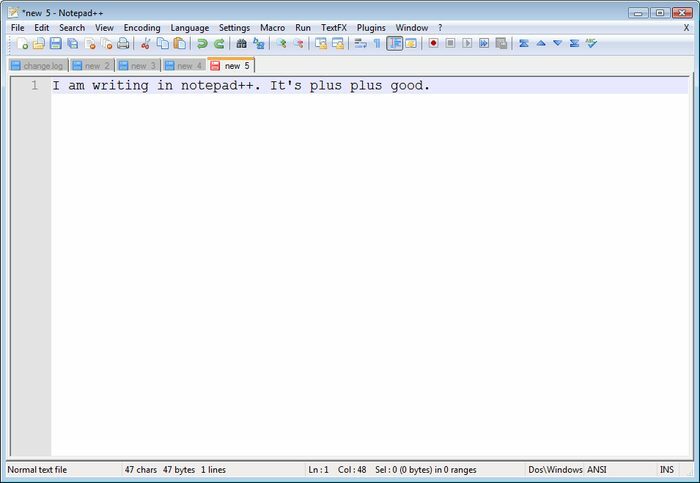 If you’re loyal to the oldschool, traditional coding, Notepad++ is the open-source text editor for you. 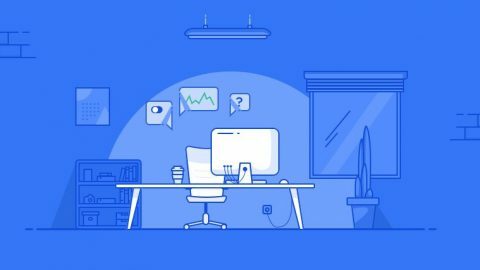 It’s recommended for anyone who wants to start off their development journey, and it’s the text editor vast majority of developers started with, but still remains devoted to it. Despite resembling of Vanilla Notepad it’s majorly improved. It can manage large files without lags or crashes. It runs smooth, fast and lightweight. It features hundreds of plugins that can extend its functionality and customization. Notepad++ is free in both free “speech” and free “beer” terms. It features auto-completion of words, functions and other algorithms. The UI is not too innovative and it requires improvement. It’s not feature friendly, it looks quite basic and can be boring for eyes. 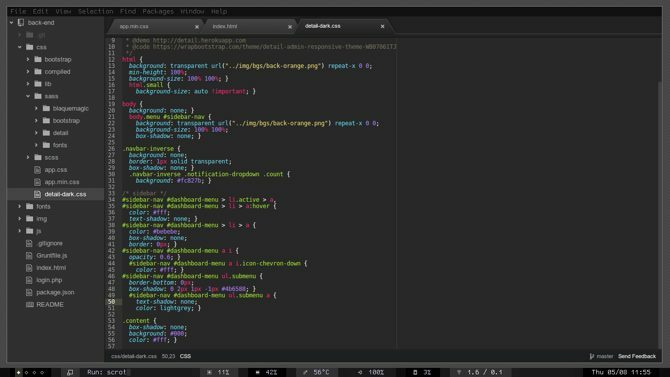 Sublime Text is amazing open-source text editor designed for general-purpose endeavors for either developing novices and pros. 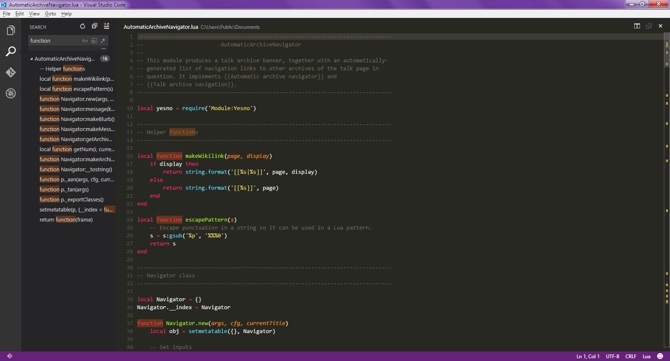 It is a responsive text editor suited for anyone who’s feeling enthusiastic about coding. Although this program was free to evaluate it’s not free to use. It costs $70 but it comes with a lot of customizable features, shortcuts, innovative UI and UX, and plugins. It can be used on any operating system. Nearly or equally capable text editors are available for free, wherein Sublime text editor costs $70. You’re able to evaluate the software, but further usage is charged. Sadly, updates are not as recent and frequent as they used to be in the past. Which text editor do you use? Let us know in the comments below!